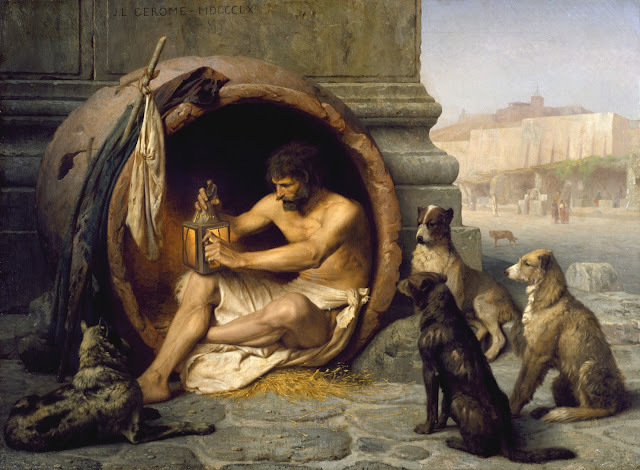 It is believed that the earliest person to claim that Irish hermits had set up camp in Iceland was the Irish monk, Dicuil, who published a text called Concerning the Measurement of the World in the year 825. 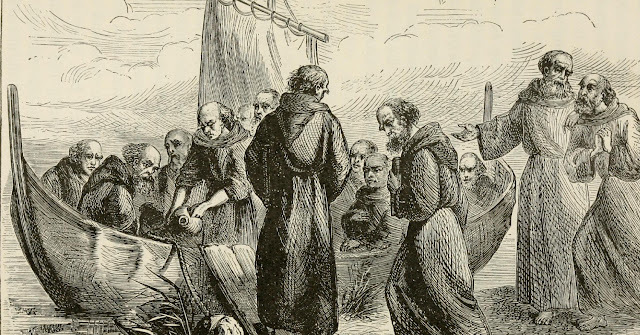 In the work, Dicuil claimed that three Irish anchorites sailed to the mysterious island of “Thule” around 795. The so-called island of Thule has a history stretching back to the 4th century BCE, when the Greek explorer, Pytheas, found a large landmass (which he named Thule) after having sailed for nearly a week out into the sea off the northern coast of the British Isles. The identity of Pytheas’ Thule is still debated—many believe the explorer found Iceland, yet others think he may have reached Norway, instead. It is unsurprising that we are not in agreement on the location of Thule, as even the ancients did not seem to know exactly where to find Pytheas’ Thule. By the time Julius Agricola was the Roman governor in Britannia (r. 77-84 CE), his fleet apparently believed Shetland was Thule. With multiple islands being called Thule by various authors, modern scholars have a difficult task of using the geographical description and latitude information to differentiate the regions. In the case of the 9th-century monk, Dicuil, his description of Thule has convinced many that he was referring to Iceland. The renowned Icelandic scholar and translator, Hermann Pálsson made mention of Dicuil in the introduction of his translation of The Book of Settlements. On Dicuil’s Thule, Hermann Pálsson confidently wrote, “The latitude he assigns to ‘Thule’ makes it certain that this must have been Iceland” (Pálsson, Landnámabók introduction, 1972, reprint 2006). Another source from outside of Iceland is the Historia Norvegiae (History of Norway), an anonymous work that is believed to have been written in the 12th century. In that text, monkish figures called “Papae” were said to have lived on islands scattered around the British Isles before the arrival of Norse settlers. The anonymous author explained the title given to the religious figures by stating, “the Papae have been named from their white robes, which they wore like priests; whence priests are all called papae in the Teutonic tongue” (trans. A. O. Anderson, Early Sources of Scottish History, vol. I, 330-2). The author of the Historia Norvegiae did not specifically mention Iceland as a destination of these so-called papae, yet if they were sailing to places such as the Orkney Islands, who is to say that they did not keep sailing farther out. Although the Historia Norvegiae did not connect the Papae to Iceland, another 12th-century writer did make that connection. Ari Thorgilsson the Learned (c. 1068-1148) was the first known historian of Iceland to write in the Icelandic vernacular and he claimed that when Norwegian settlers first arrived in Iceland, they found a few Irish monks already present on the island. This claim was first written in Ari’s text, the Book of Icelanders (Islendingabók). The assertion was later repeated in the Book of Settlements (Landnámabók), of which Ari the Learned is thought to have been a major contributor or original author. The Book of Settlements became a generational affair, with numerous versions being produced over the centuries and additional information included in each new edition. There are five existent versions of the Book of Settlements, the oldest of which is the Stulubók (produced c. 1275-1280). The Stulubók and the Islendingabók have a nearly identical passage about the existence of Irish monks in Iceland before the arrival of Scandinavian settlers. Sturla Thordarson, the author of the Sturlubók, wrote, “before Iceland was settled from Norway there were other people there, called Papar by the Norwegians. They were Christians and were thought to have come overseas from the west, because people found Irish books, bells, croziers, and lots of other things, so it was clear they must have been Irish” (Sturlubók, chapter 1, trans. Hermann Pálsson, 1976, 2006). Ari Thorgilsson’s earlier account matched that of Sturla Thordarson except that Ari also claimed that the Christian monks left Iceland after the arrival of the Norse settlers. Ari the Learned was also slightly less committal to the monks’ origin—whereas Sturla claimed it was “clear” that the monks were Irish, Ari wrote “one could perceive” the monks of having an Irish origin based off of the evidence left behind (the books, bells, croziers, etc…). Although the Book of Settlements and the Book of Icelanders both mention Christian relics being left behind by the monks, no convincing archaeological remains of such pre-settlement items (or of the monks who left them there) has yet been discovered on Iceland. 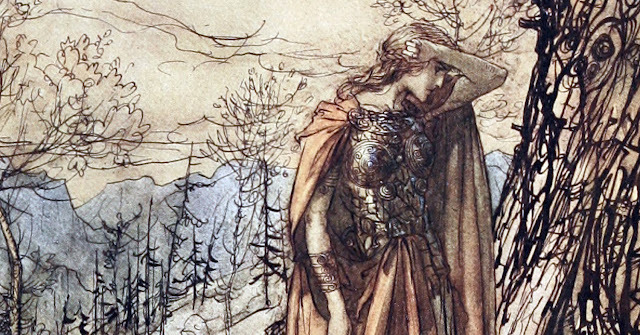 In addition to the lack of physical evidence, some have questioned the truthfulness of Ari the Learned on the claim of Irish monks in Iceland because of Ari’s close connections to the See of Skalholt in Christianized Iceland. Like most medieval scholars, Ari received much of his education through the church, and two of his greatest patrons were the bishops, Thorlak Runolfsson of Skalholt and Ketil Thorsteinsson of Holar. Nevertheless, the question of whether or not Ari the Learned and other Christian scholars in Iceland would lie about the pre-settlement Irish monks is a debate of opinion, not fact. As of now, with no archaeological evidence to prove or disprove the claims, historians can only fall back on the stereotypical government response—we can neither confirm nor deny the existence of Irish monks in Iceland before the arrival of Norse settlers. Yet, although the existence of the monks cannot be confirmed, a majority of the historical community still seems to give Ari Thorgilsson and his successors the benefit of the doubt on their claim that Irish monks were present on Iceland before the time of settlement. The Book of Settlements (Sturlubók version) translated by Hermann Pálsson and Paul Edwards. Winnipeg: University of Manitoba Press, 1972, 2006. Emperor Wu (r. 141-87 BCE) of China was said to have shown great respect to an interesting deity known as the Spirit Mistress. The interactions of the emperor and the spirit were documented by Sima Qian (c. 145-90 BCE), the Grand Historian and palace secretary of Emperor Wu. Sima Qian’s passage about the Spirit Mistress appears in his “Treatise on the Feng and Shan Sacrifices” (Shi Ji 28), which purports to be a text on the ceremonial rites performed by China’s mythical/folkloric sage rulers, but really expands to be a text on sacrifices, mysticism, religion and miscellaneous supernatural topics. According to folklore recorded by Sima Qian, the Spirit Mistress came into being after an unnamed woman from Changling died during childbirth. Although the woman’s name was unknown, Sima Qian did provide a name for her brother—Wanruo. The spirit, following her unfortunate death, traveled to the home of her brother. There, the spirit drew major attention to herself by supernaturally possessing Wanruo’s wife. Wanruo reacted to the spiritual possession in an interesting way—he became the spirit’s first worshipper and, perhaps, her first priest. Wanruo, or possibly his possessed wife, invited neighbors to come see the spirit and then neighbors brought their friends, exposing more and more people to the new spiritual being. Before long, the so-called Spirit Mistress became the talk of the town and soon came to be thought of as more of a deity than just a simple ghost. The Spirit Mistress predated the reign of Emperor Wu, for the emperor’s maternal grandmother, Lady Pingyuan, had reportedly been an avid worshipper of the Spirit Mistress before the emperor was placed on the imperial throne. Nevertheless, it was Emperor Wu who really brought the Spirit Mistress to prominence. After ascending to the throne, the emperor sent agents to Changling (or wherever the spirit had moved), and somehow lured, guided or simply invited the Spirit Mistress to relocate to the Imperial Capital Area. The Spirit Mistress reportedly accepted the offer and was housed with honor in the Tishi Tower at Shanglin Park, located southwest of the capital city, Chang’an. By the time the Spirit Mistress was moved to the tower, she reportedly no longer was possessing a human body and instead inhabited her new home in an invisible ghostly state—Sima Qian wrote, “It was said that one could hear the words spoken by the spirit but could not see her form” (Shi Ji 28). Sometime later, a man from Youshui named Fa Gen informed Emperor Wu that there was a skilled shamaness living in the province of Shang. This woman, Fa Gen claimed, could commune with spirits and was possessed by ghosts regularly. Emperor Wu reportedly retrieved the shamaness and housed her in the Palace of Sweet Springs, which was a place he recently had constructed for the worship of all spirits. The shamaness quickly became the chosen spokeswoman of the Spirit Mistress, who apparently moved from the Tishi Tower to be with the shamaness in the Palace of Sweet Springs. This partnership between the Spirit Mistress and the shamaness occurred before the year 118 BCE, at which point Emperor Wu fell ill. He consulted the Spirit Mistress (through the shamaness) about his health, and when he subsequently recovered from his illness, Emperor Wu was convinced that the Spirit Mistress had intervened to improve his health. In thanks, Emperor Wu built for the Spirit Mistress a new home—the Temple of Long Life. This temple was said to have been dedicated specifically for the Spirit Mistress, and with the new temple came more respect and higher rank for the Spirit Mistress in the hierarchy of spirits. Sima Qian recorded further details about the Spirit Mistress, but the renowned translator Burton Watson warns that anything exceeding the information listed in the preceding paragraphs may have been corrupted over the millennia. 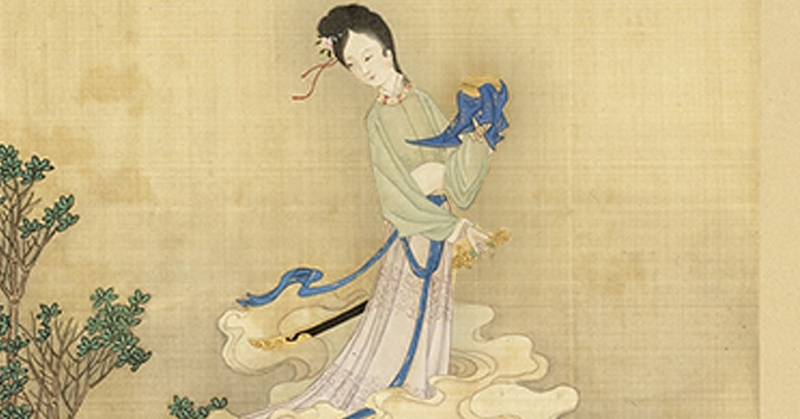 Nevertheless, some of the possibly corrupted pieces of information includes that at least one other temple was built for the Spirit Mistress by Emperor Wu and that a group of lesser deities, known as the Great Forbidden Ones, became associated with the spirit and were believed to be her supernatural attendants and helpers. Another possibly corrupted claim of Sima Qian is that Emperor Wu kept a record of all of messages or prophecies delivered by the Spirit Mistress’ mediums, but any such text (if it existed) has been lost. Picture Attribution: (Painting of Hongxian (紅線), attributed to He Dazi, from his collection called "Gathering Gems of Beauty", [Public Domain] via Creative Commons). King Æthelred and his poor advisors may have tried to imitate the success of their famed ancestor, King Alfred the Great (r. 871-899). Alfred had paid the Vikings for peace in his first year as king, but it was only a temporary truce and the Vikings came back to force Alfred into the marshes of Somerset by 978. Yet, Alfred mobilized his forces, wrested back control of Wessex, and, by the end of his reign had implemented a network of military garrisons in the burghs of his kingdom that were strong enough to defeat Viking raiders even when Alfred was not present on the battlefield. The success of Alfred’s defense system was showcased in the Battle of Lea (c. 895), where Anglo-Saxon garrisons worked together to defeat a Viking encampment while Alfred was elsewhere in the kingdom building river defenses. Around a century later, Æthelred the Unready apparently attempted a similar scheme of paying the invaders to buy time and letting his regional garrisons deal with the Viking problem. Unfortunately, the burghs of Æthelred’s day no longer had the individual power to effectively fight off the Vikings, and, unlike Alfred the Great, Æthelred seemed totally incapable of adapting to the new situation. 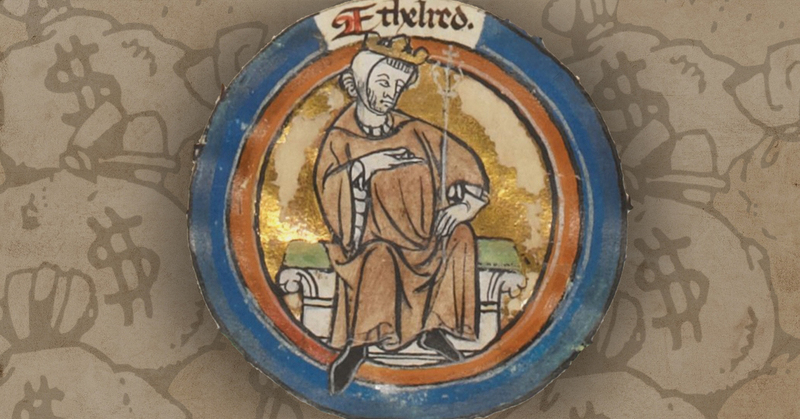 Consequently, while Alfred is remembered as one of Britain’s greatest kings, Æthelred is regarded as one of its worst. In 991, after over a decade of Viking activity, King Æthelred took one of his first executive actions against the Viking threat. To set the scene, a powerful Viking force had just sacked the city of Ipswich and killed the regional noble, Aldorman Brihtnoth, in a battle at Maldon. One of the leaders of the Viking force was apparently Olaf Tryggvason, who would go on to become the king of Norway in 995. Instead of mustering his forces against this Viking threat, King Ætheltred instead pulled together England’s finances and paid off the invaders with a tribute of 10,000 Anglo-Saxon pounds. Æthelred did, however, later make an effort to gather together a fleet of ships in 992, but the man he put in charge of the armada unfortunately defected to the side of the Vikings. The tribute payment (and the poorly-led fleet) did not bring Æthelred peace, as Vikings continued to wreak havoc on England in 992 and 993. By 994, Olaf Tryggvason had returned, this time with King Sweyn Forkbeard of Denmark. With a large fleet at their disposal, Olaf and Sweyn raided all over England, attacking Essex, Kent, Sussex and Hampshire. Once again, Æthelred apparently left the defense of the kingdom to his regional nobles, and no known military action was taken by the king, himself. As the Vikings continued to sow destruction, Æthelred decided to offer a second payment of tribute—this time reportedly around 16,000 Anglo-Saxon pounds. The wealth did buy off Olaf Tryggvason, who went to Norway to seize the throne and never returned to Britain. Yet, the money did not stop other Vikings from raiding English soil. After a brief period of peace, Vikings returned to cause mayhem in Æthelred’s kingdom. Widespread annual raids resumed in 997. By 999, Æthelred finally decided to raise his land and sea power against the invaders, but by this point, the kingdom’s military was in a neglected and pitiful state. The Anglo-Saxon Chronicle did not pull any punches when assessing Æthelred’s attempt to take a more personal control over the kingdom’s defense in 999: “in the end neither the naval force nor the land force was productive of anything but the people’s distress, and a waste of money, and the emboldening of their foes” (ASC, 999). By 1002, Æthelred decided to pay a third tribute to the Vikings, giving them a reported 24,000 pounds. Yet, that very year, the Anglo-Saxons idiotically massacred Danish settlers in England, ensuring further confrontation with King Sweyn Forkbeard of Denmark. As could be expected, when King Sweyn heard that his countrymen had been ruthlessly purged in England, he set sail for Britain and embarked on a relentless war against Æthelred as early as 1003. By this point, King Æthelred decided to let his regional nobles once again the take lead in the war. Sweyn Forkbeard apparently faced only regional garrisons until 1006, when Æthelred decided to muster another army. Yet, as before, Æthelred’s military was still in poor shape and was woefully inadequate to halt Sweyn Forkbeard’s campaign. As the Danes plundered region after region, Æthelred the Unready pulled together a fourth tribute payment of 36,000 pounds. King Sweyn accepted the payment and England was at relative peace for several years. In that brief respite, Æthelred tried to build up England’s navy, but his progress was undermined by unruly noblemen, such as Brihtric and Wulfnoth Cild, who reportedly put around 100 of Æthelred’s new ships out of action during a personal feud. Ironically, it was right after the Englishmen destroyed their own ships that Sweyn Forkbeard returned to England in 1009. From 1009-1012, King Sweyn’s forces acted as an unstoppable steamroller, flattening all resistance in their path. King Æthelred’s distress can be glimpsed at the enormous tribute—the largest of his reign—that he sent to the Danes. In 1012, Æthelred sent as his fifth tribute a whopping 48,000 Anglo-Saxon pounds. This time, however, Sweyn Forkbeard showed no mercy and continued his campaign despite the money. In 1013, King Sweyn conquered England and Æthelred fled to Normandy. Sweyn Forkbeard, however, did not have a long reign as the king of England—he died in 1014. 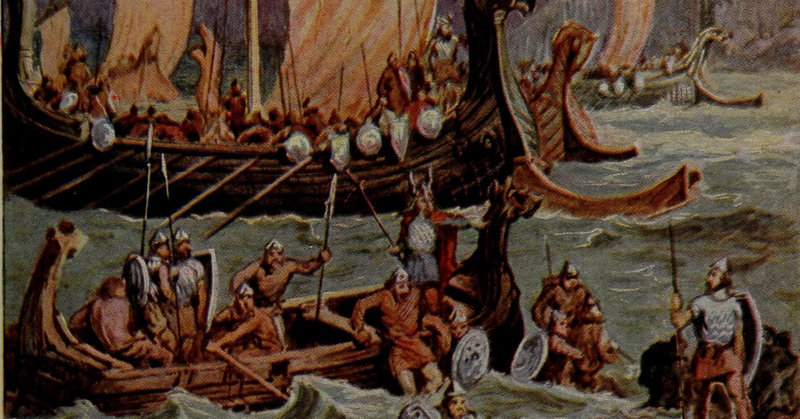 Sweyn’s son and heir, Canute, was reportedly in the north of England at the time and eager to return to Denmark to secure his hold on the Danish homeland. In the uncertainty of succession, the people of England invited Æthelred to return to Britain to retake the throne, an offer he gladly accepted. When Æthelred returned to England in 1014, he continued his life-long foreign policy of paying tribute. In an effort to appease King Canute, Æthelred sent a payment of 21,000 pounds to the Danes. It would be his sixth and final tribute. Nevertheless, Canute returned to England in 1015, determined to retake the English throne. Æthelred died in London in 1016, shortly before King Canute’s fleet arrived to besiege the city. In all, Æthelred’s six tribute payments to the Vikings totaled around 155,000 Anglo-Saxon pounds. In his book, The Pound: A Biography, author David Sinclair estimated that a single Anglo-Saxon pound from the day of Æthelred the Unready could purchase 15 cows. If that calculation is correct, then the Vikings would have been able to purchase a massive cattle herd numbering 2,325,000 animals with all of the money given to them by Æthelred the Unready. Picture Attribution: (Miniature of Æthelred the Unready from MS Royal 14 B VI, placed in front of a image of bags of money from pixabay.com, both [Public Domain] via Creative Commons). Asser’s Life of King Alfred and Other Contemporary Sources translated, introduced and denoted by Simon Keynes and Michael Lapidge. New York: Penguin Classics, 2004.